Willie Nelson twice tried to take the stage for his performance at the Outlaw Music Festival in Charlotte, NC before he was forced to cancel due to illness. The Outlaw Music Festival is Nelson's touring all-day event with numerous artists rotating into the lineup along the way. The North Carolina show had been a bit of problem with two other artists, Elvis Costello and Brandi Carlisle, having cancelled due to health and family issues. 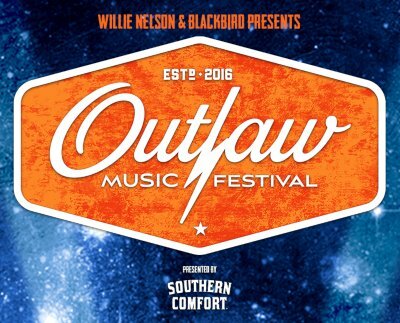 According to a spokesperson, "Due to illness, Willie Nelson was unable to play tonight at the Outlaw Music Festival at PNC Music Pavilion Charlotte. Fans are asked to please hold on to their tickets until the new date is announced." Concertgoers did see performances from Doors, Mitchell Lee, Wild Feathers, Old Crow Medicine Show, and Sturgill Simpson before the Nelson cancellation. Some complained that, after Nelson's second attempt, it took the management an hour before they announced the show would not be continuing. TMZ reports that Nelson had a stomach bug but was able to take the stage the next night in Washington.